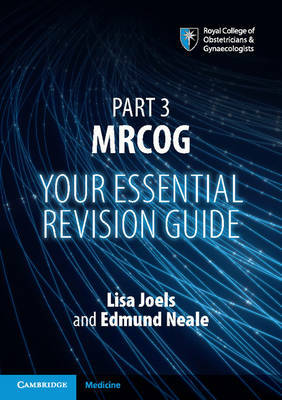 Written by two experienced RCOG examiners, both of whom have been involved in the development of the new Part 3 MRCOG examination, this book is essential reading for any trainee preparing to sit the exam. The authors clearly describe the breadth and depth of the curriculum modules and the professional behaviours that will be assessed in the five clinical skills domains. The text includes written examples of every module, links to eight videos showing candidates attempting four real Part 3 tasks, examiners' comments, and a detailed discussion of each example. The content will help candidates understand what is required to pass the examination and how to demonstrate their knowledge and skills to best effect. The book will also be useful for trainers preparing their trainees for the new exam. Based on the principles of good medical practice, there are practical tips here for doctors and obstetricians at all levels.